Light + Love : Team Underwear. The last time I was here in Cebu, my family and friends and I distributed undies to the survivors of Yolanda. 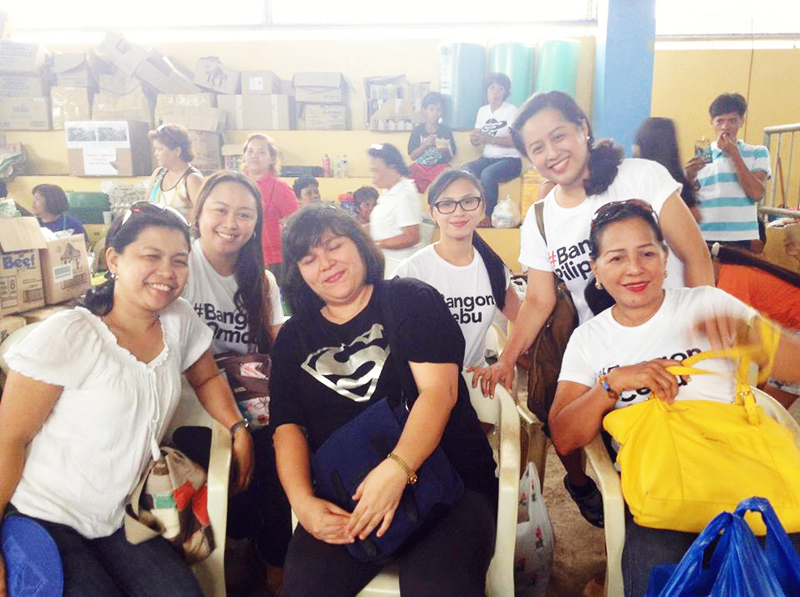 We went to two evacuation centers (Mactan and Tinago). It was one of the most heartwarming experiences ever, one I will remember for a long long time. But I will not write about how I feel about them (the survivors) because I think I shared so many times, in so many words, in different venues, how strongly I feel for and how my heart goes out to them. What I want to say now is that I am still moved by how many people gave and helped. Yolanda came a few days after the earthquake that devastated Bohol and Cebu. Both events brought a lot of heartache. And when there's a lot of heartache, I cope by keeping myself busy -- spent time and energy on OH, LOVE and packing/sending relief goods to Cebu, Iloilo, and Tacloban. 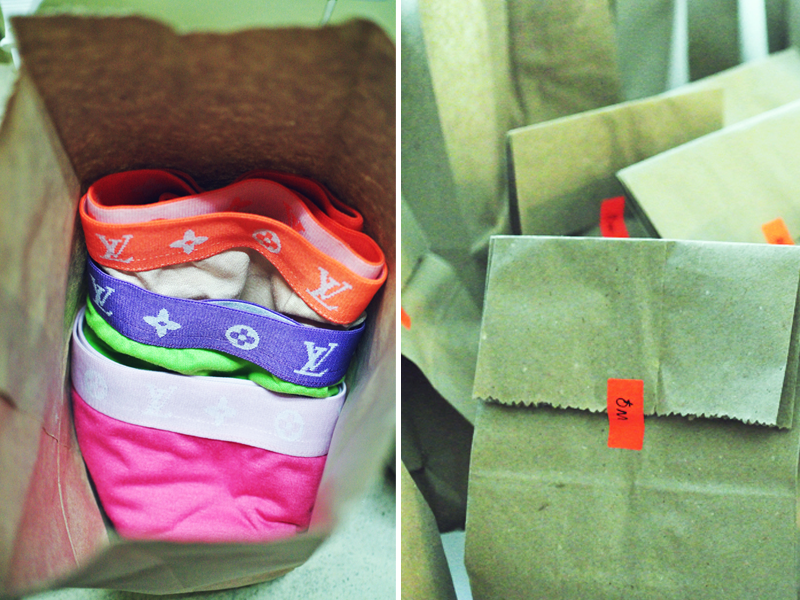 And a week before Dionne and I left for Cebu last November, I decided to collect underwear for the survivors staying in evacuation centers in Cebu. I was, still am, very touched that there were people who gave without hesitation. We collected 2 big boxes of underwear -- 1,173 undies in all. 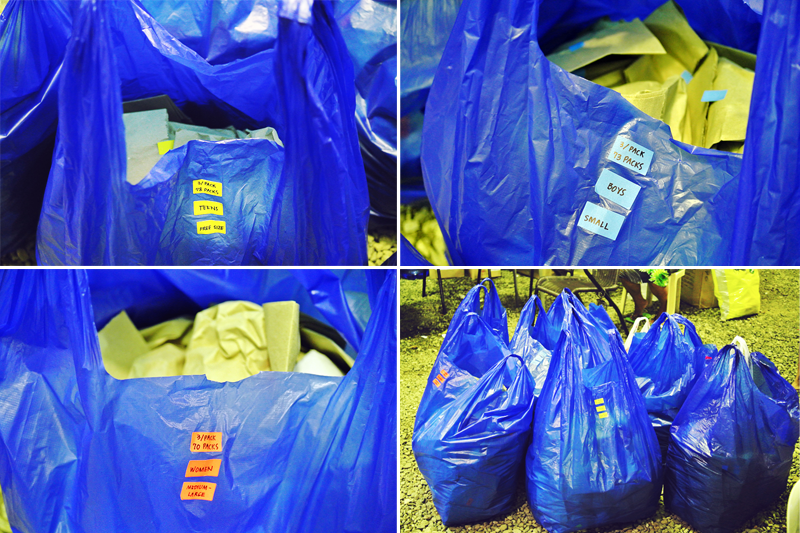 These, not counting the ones my friends in Cebu collected and repacked. We re-packed them by 3s in brown paper bags. We also color-coded the packs. 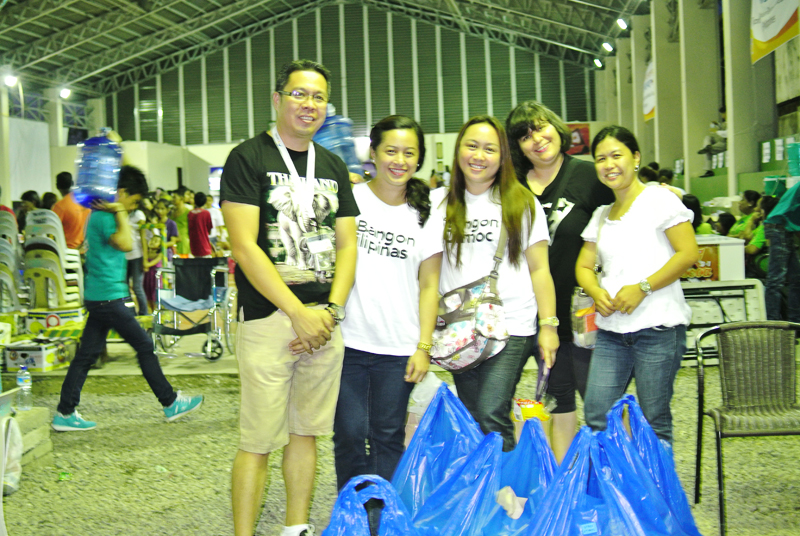 We distributed them in two evacuation centers. We first went to Looc in Mactan and then to Tinago in Cebu City. Team Underwear at Looc, Mactan. and spent long nights with me repacking underwear. At Tinago. 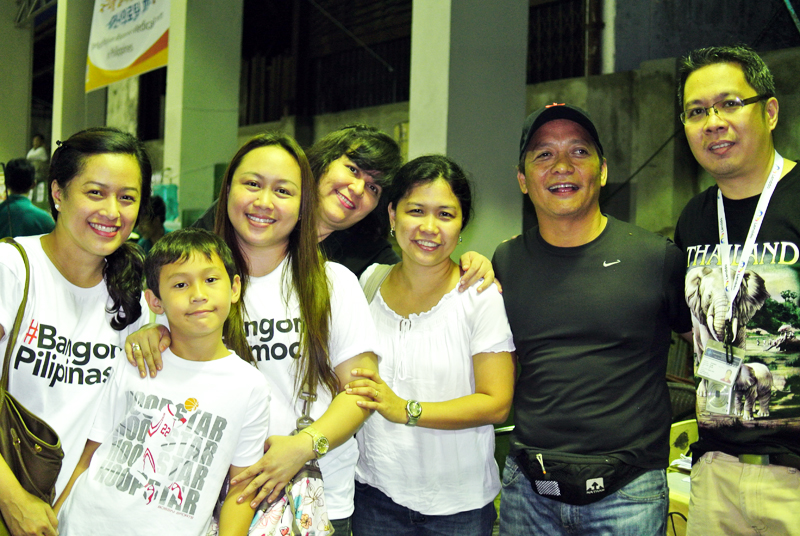 We were met by Barangay captain Joel Garganera who was incredibly nice. so I'm quite glad I decided to collect and distribute underwear. Just a quick pose to remember this day by. and happily jumped in with me. Big, big hearts! to represent me and my two other sisters. Good, heartwarming day it was. 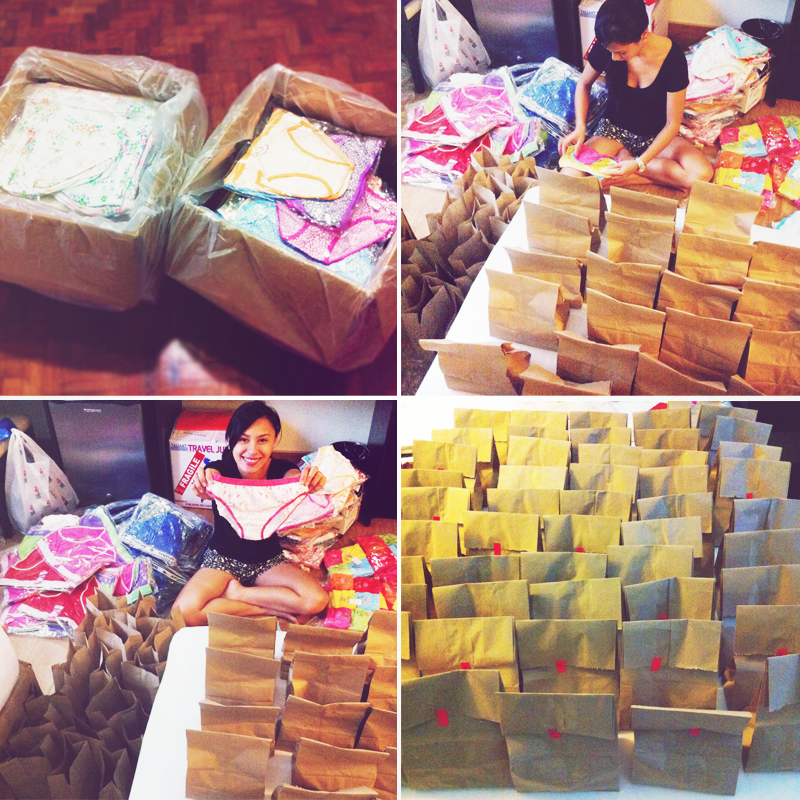 (and for being there during distribution) -- THANK YOU! Andre, Clark, Bo, and Anyo!